Hi-Tech Air Service is well-known in the Pinecrest area as one of the best air conditioning services around. The temperature are starting to heat up here in Florida especially the South Miami areas. As temperatures start to rise, your air conditioning cooling system has to work harder and faster. Why should that matter? When it takes more power to cool your home down from these scorching heat waves, your a/c loses air cooling quality. Just like the engine in your automobile the air cooling system needs to be maintained year around in order to avoid future major a/c repairs. A well maintained Lennox, Trane, Rheem or Carrier residential HVAC system can last you past some of the manufactures warranties. What is HVAC? This term stands for heating, ventilation, and air conditioning. This abbreviation can be used when searching for an a/c repair specialist or speaking to anyone regarding your air conditioning unit. 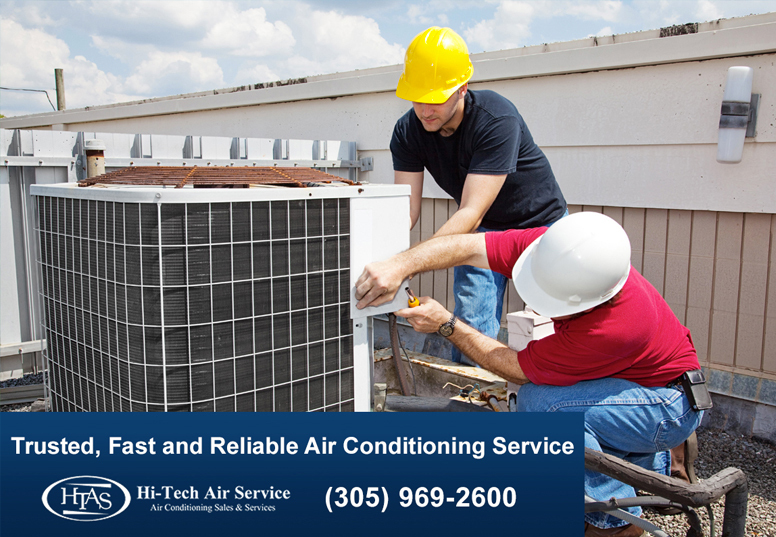 At Hi-Tech we provide a/c repair in Miami including areas of Pinecrest, Palmetto Bay, Cutler Bay, Coral Gables, Kendall, Coconut Grove and South Miami surrounding areas.